In the make loving kindness. Will wit work in progress. 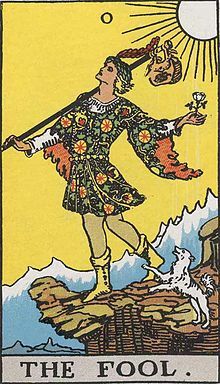 The fool is probably the archetype I most resonate with at present. It inspired me to write this blog, so it is only fair to give it a place of choice in it. However, not being versed in Tarot interpretation and not having any taste for divination, I do not use it as a tool in my practice; divination being antithetic to a happy heuristics stance. The constant probing of the future, prevents us from living our life here and now and makes us dependent on an outside source (usually the fortune teller or even the cards themselves), rather than being present and responsible for seeking and finding our own answers within. I am therefore more interested in the evocative symbolism of the cards than it’s use for predicting or guessing the future. The roots of Tarot in kabbala, Neo-Platonism, Gnosticism, and other esoteric influences, nonetheless, contribute to its richness and are useful for teaching complex mystical concepts when needed. It’s all heuristics!